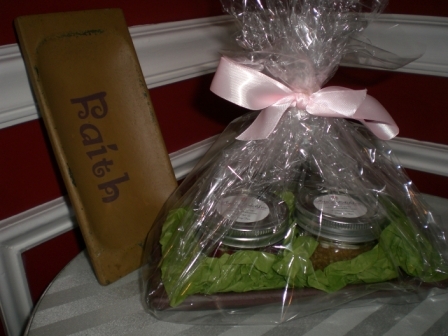 Order your Gift Set today! 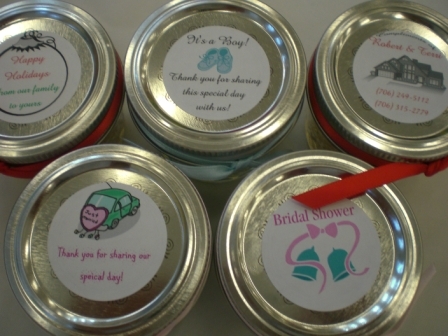 These make great gifts for that special someone, coworkers, or friends. 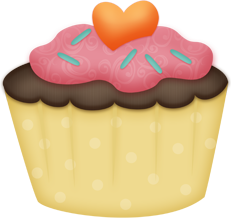 Share the love of cupcakes this all year long! 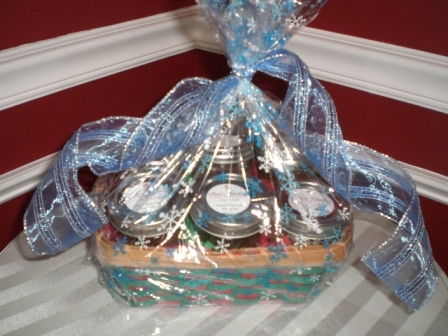 These are perfect to ship or can be delivered in the Augusta area. 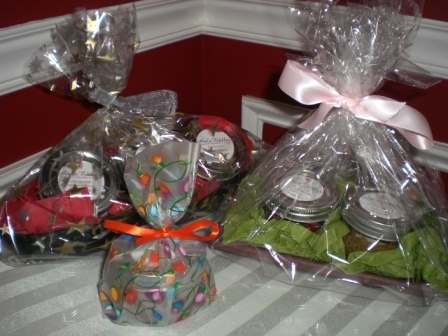 Please contact me to see what variety of Mommy Jars are available to be packaged. 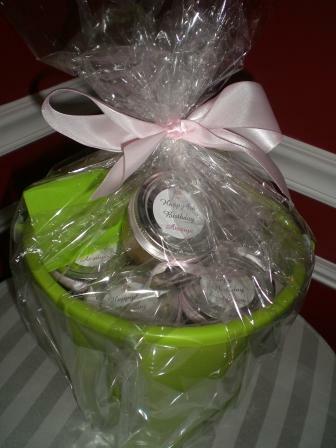 Beach pail with 6 Mommy Jars, perfect for kids! 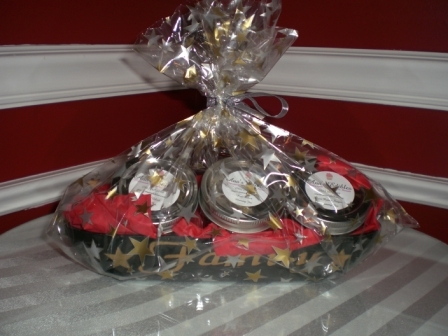 The top label and ribbon can be customized to include your personal message or company logo. 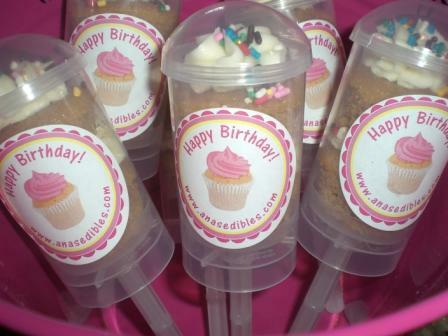 These adorable push-pop cakes will be an adorable addition to your next celebration. They consist of 2 Baby Cakes layered with homemade cream cheese icing. 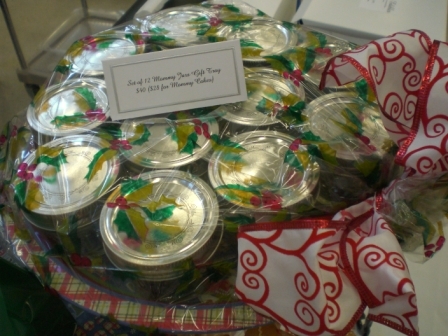 Simply remove the lid, push up the stick to get the cupcakes and enjoy!! 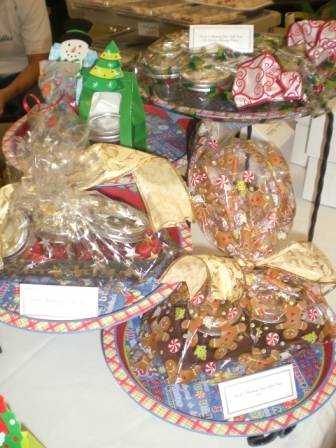 This is for a set of 6 individual push cakes.